The compensation was ordered to be paid due to a fraudulent land acquisition process. The Supreme Court of India delivered a Judgement in favour of farmers who had lost their land through a fraudulent land acquisition process. 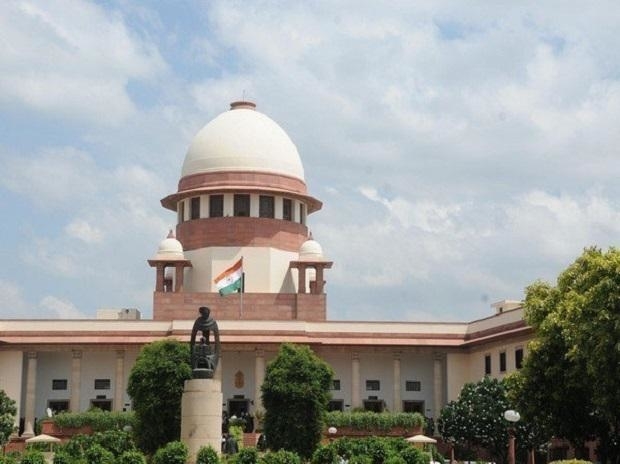 On March 12, farmers from the villages Manesar, Lakhnoula and Naurangpur in Haryana finally got some relief from the Supreme Court after around seven years of litigation. The issue began in 2004 when the Industries Department of the Government of Haryana issued a Notification for acquiring around 912 acres of land from the three villages. The mentioned purpose was to set up an industrial township for residential, recreational and other public purposes. Soon after the notification, several farmers including some of the petitioners sold their lands to private builders. They feared that the compensation they would receive would be a pittance, and hence thought it better to sell their land. The state government acting on a recommendation from the Land Collector issued a notification reducing the acreage of land to be acquired to 688 acres. The notices for acquisition were opposed by both the farmers as well as the builders, yet the builders continued buying land from the notified area. The builders achieved this by showing the farmers old orders where land had been acquired from neighbouring villages at Rs. 12.5 lakh per acre. They offered the farmers between Rs. 20 to 25 lakh per acre. Later the state government passed an Order dropping the land acquisition process, the Order also stated that a fresh notification would be issued in its place. This resulted in the High Court disposing of the petitions filed by the farmers, as the petitions had become infructuous due to the land acquisition process being dropped. The Haryana State Industrial and Infrastructure Development Corporation (HSIIDC) had also submitted a proposal to set up an inter-departmental committee to survey the area and submit its recommendations. In the meantime, two licenses had been granted for setting up a housing society. The committee subsequently recommended a complete withdrawal of land acquisition, by then 12 applications for licenses had been submitted, and 4 years had passed since the first notification regarding land acquisition. In 2009, after the building plans were approved, the farmers began agitating since their lands were now going to be used for private gain rather than the ‘public purpose’ of the initial Notification. In 2010, the state government formally closed the acquisition proceedings. In 2011, the farmers’ agitation had begun to be widely reported in various newspapers. At around this time, a request was made to file an FIR against the officials of the Land Acquisition Department as well as the Director, Town Planning for fraud. The farmers subsequently approached the High Court. Whether the transactions entered into between the landholders and the concerned builders/private entities in the present case could be said to be voluntary and free from any influence. Whether the decisions on part of the state machinery arrived at on 24.08.2007 [dropping acquisition] and 29.01.2010 [closing the acquisition proceedings] could be said to be guided by considerations other than those for which the power was conferred, or in other words: was there a fraud on power. However, the Court faced several issues for granting relief. Firstly, in places where the land had been developed, restoring the land would not be a fair relief. If the public interest is to be served, then the acquisition must be completed, and the government would hold the land to carry out the public purpose. In this case not all the farmers in question have alienated their land and hence those who had not would be disadvantaged. Further, third parties who had bought the land from builders after the acquisition proceedings were withdrawn would also have to be taken into consideration. Accordingly, the Supreme Court set aside the Orders of the state government which dropped and closed the acquisition proceedings. The first award declared by the state government was directed to be paid to all those who had alienated their lands, and these lands would be held by HUDA/HSIIDC. The Court further directed that the payments made by the builders towards the landholders would be considered compensation, and the builders would not be entitled to recover those amounts. The Court also stated that the landholders would be free to seek further compensation for a period of three months to a Reference Court under the Land Acquisition Act. If the award of the Reference Court is above the amount they had been paid by the builders, then the builder would have to pay the balance. If after payment, the landholders are entitled to further payments, then the state government would pay the remainder. If the award amount is below that received by the landholders, then the landholders would keep the total amount paid. Third parties who had made payments to the builders would be entitled to be refunded. In cases where the buildings are complete or nearing completion, third parties would be entitled to occupy those properties. All other empty properties would then be placed in the hands of HUDA/HSIIDC. The Court further directed the CBI to complete its investigation in the amounts paid to ‘middlemen’ who had allegedly arranged for licenses.